The struggle is real in making exercise a consistent part of our lives. While we know that regular exercise will make us feel good, give us more energy, and reduce stress, trekking our way to the gym and going back home discourages us to keep ourselves moving. Luckily, there’s one more thing you can do to squeeze in workouts into your busy lifestyle—by creating your own gym at home. 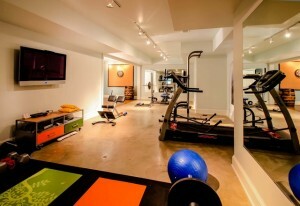 Here are eight basic essentials when building your own at-home gym. 1. Yoga Mat – A workout space won’t be complete without a simple yoga mat. Even if you don’t do yoga exercises, a good mat is useful for exercises that require lying on the floor and to cushion yourself from jumping moves. 2. Stability Ball – This workout equipment is handy for strengthening the core and muscles. Just ensure to get the right ball size for you weight and height. 3. Resistance Bands – From the name itself, these gym essentials are great for adding resistance training to your routine. Place them in a bag or stash them inside your closet for easy storage. 4. Pull-Up Bar – Some equipment can add variety to workouts, like a pull-up bar. This equipment can target the abs, biceps, and back, depending on the workout you perform using it. Check out bars that can be hanged in the doorway or build your own from spare metal bars. 5. Stopwatch – An interval timer is handy for keeping track of your rests and sets. Purchase a simple stopwatch or make use of your phone’s interval timer. 6. Weight Bench – This bench isn’t only for lifting weights, though it is its main purpose. You can also use it for core workouts and other body weight exercises that will strengthen your upper body. 7. TRX Suspension System – This may look like a simple gym facility, but it provides powerful full-body exercise while simultaneously enhancing your core strength and balance. 8. 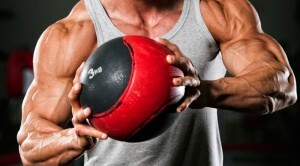 Medicine Ball – This is another equipment to add more weight exercise to your at-home gym, but in a more dynamic way. Both of your hands have to be on the ball as you squat or lift to add strength training to standard workouts. With a bit of planning and knowing what essentials to buy, you’ll have everything you need for your at-home gym and reap all the benefits of healthier lifestyle in the comfort of your own home.